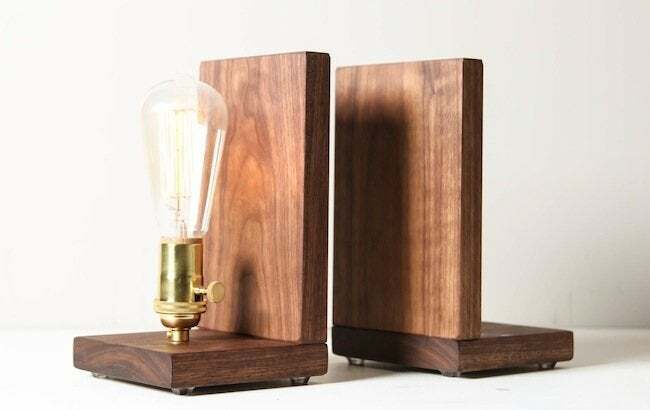 Whether you love minimal modern design or have an eye for fine woodworking, prepare to be blown away by Shelli and Seth Worley's exciting wood lighting designs. Meet the duo behind one of the trendiest lighting companies around. 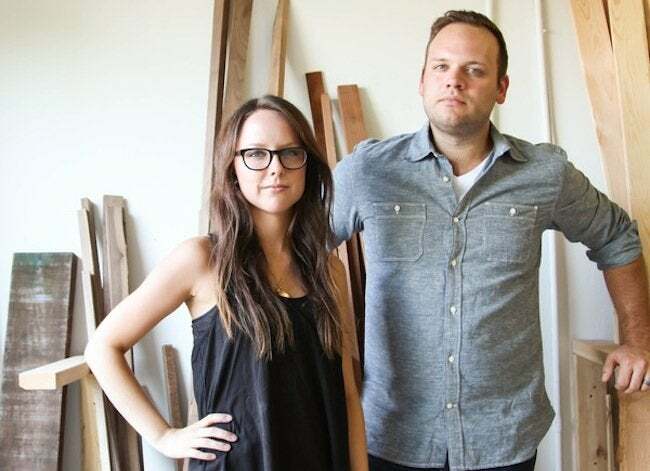 Shelli Worley and her husband Seth started Worley’s Lighting, a shop specializing in sleek, modern, and minimalist designs made from quality materials. With the help of their family, this Charlotte, North Carolina-based pair is creating some of the most beautiful—and functional—lighting designs we’ve seen in ages. The pieces are well-considered and beautifully crafted, hinting at Shelli’s long family line of woodworkers and designers. In a meeting of the minds, we posed our most burning questions about the creative process to the the folks behind this charming specialty store—read on for what Shelli had to say. Worley’s Lighting started as my dream. I always had a passion for decorating and interior design. Deciding to focus my energy into lighting took a bit of time, but I eventually developed a real excitement for it! 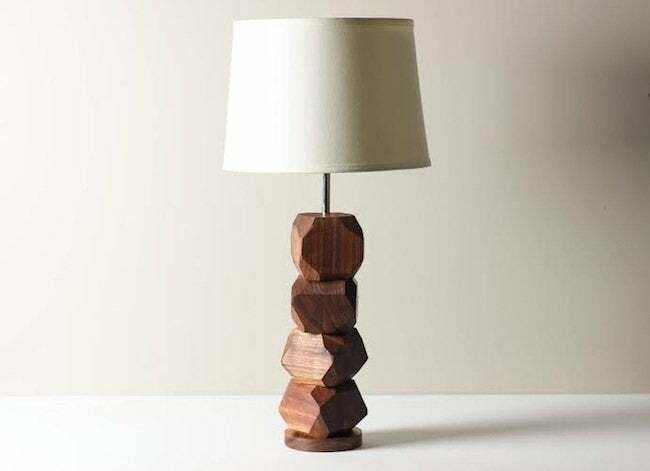 Lamps are a vital part of any room, and they vary in shapes, sizes, textures, and materials. That’s why lighting has become a great and broad avenue for me to express my creativity and build things that I love. I started the company at a time of transition in my life. I was in between jobs and had a lot of design ideas for home accessories. Those ideas turned into actual products, and, after listing them in our online Etsy shop, they began to sell! Three and a half years later we continue to sell on Etsy and now our own e-commerce website. Modern/minimal, balanced by the warmth and natural look and feel of hardwood. When I was 16 I got my first job at a thrift store. We mainly bought and sold clothes. Growing up, my parents encouraged my sister and I to get jobs and earn our own money as soon as we could. I’m thankful for the lessons I learned at such a young age because they lead me to become an entrepreneur. I am always inspired by the wood that we work with. I try to keep all of our designs simple to showcase the natural beauty of the wood. I am all about clean, modern lines and wholesome, woodsy materials. The most challenging thing about our work is keeping up with production in our current facilities. We are thrilled about every single order that comes in, be that from one of our online stores or from a retailer. But currently, we have about outgrown our 1,300 sq. ft. workshop and office space, which creates quite a few challenges for us. We get creative with space-saving solutions—we’ve got a lot of wall shelving and always try to go vertical for storage. My favorite part is the initial designing process. I usually sketch things that pop into my head and spend quite a bit of time contemplating new designs. I love taking what started in my head, putting it down on paper, and then bringing it to life with my two hands. We love wood! Walnut is our favorite. We also love hard maple, cherry, and sapele. We absolutely could not function without our multiple JawHorses—they are so versatile. We use them for glue-ups, holding pieces in place to work on them, and lots of other stuff. 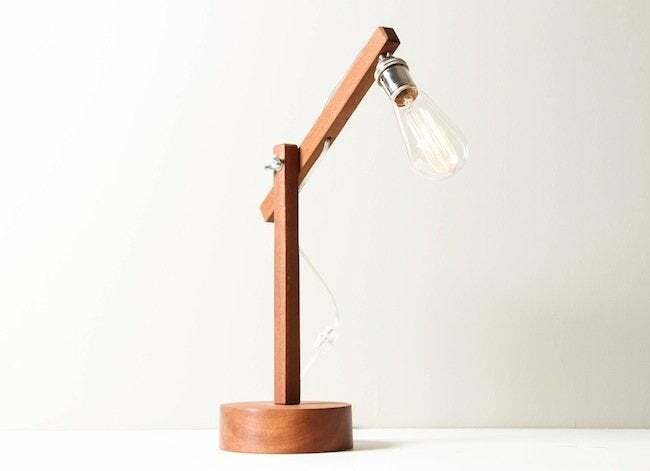 If you like Worley’s Lighting as much as we do, check them out online or follow them on Facebook to keep an eye on their newest products or take home a totally unique lamp.